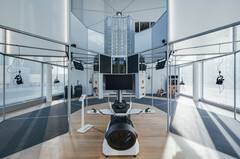 12 VR-Pods are available in the MK2 Bibliotheque in Paris to test-drive virtual reality headsets. 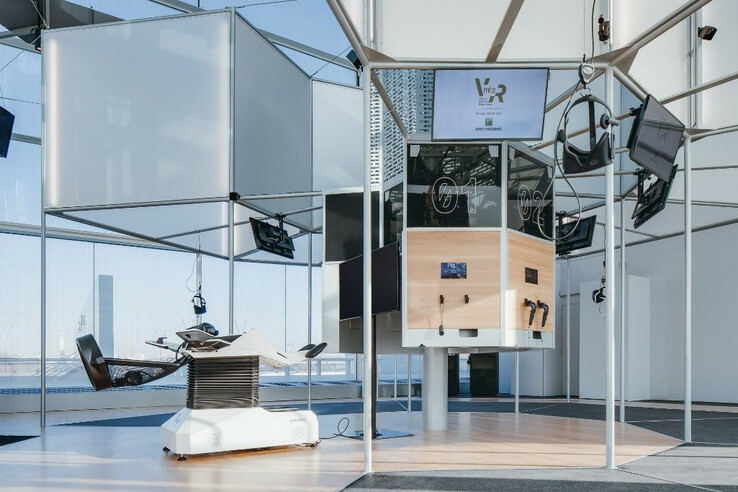 Last week, a french cinema chain opened a virtual reality venue in the MK2 Bibliotheque in Paris where you can test-drive a HTC Vive, an Oculus Rift, a Playstation VR and a Birdly motion simulator for $25. If you are interested in testing virtual reality games or headsets and happen to be in Paris, you can now visit the MK2 Bibliotheque where you will have access to HTC Vives, Oculus Rifts and Playstation VRs. Roughly $25 will give you 40 minutes of VR gaming on any one of the headsets. The MK2 cinema chain opened the venue last week and will not only let users test the aformentioned headsets but also plans to have an up to date assortment of VR-games preinstalled on MSI computers featuring Core i7-6700K processors and Nvidia Geforce 1080 GPUs. MK2 also installed a Birdly motion simulator that you can use to experience virtual flying. Currently 12 VR-Pods are available for visitors offering access to games like Homebound Joyride, The Climb, Space Pirate Trainer, The Walk, Star Wars Battlefront Rogue One, Mission X-Wing VR, Ocean Descent VR and Eagle Flight. A special promotion for the movie Assassin's Creed will let you play a VR-version of that title until the 31st of December. MK2 has scored deals with game publishers to be among the first to have access to upcong VR-games and hopes to also rent to private groups and corporate events in the future.